 Hosei University GMBA students were once again called upon to break their comfort zone in order to become more productive and be able to analyze and harness their creativity. 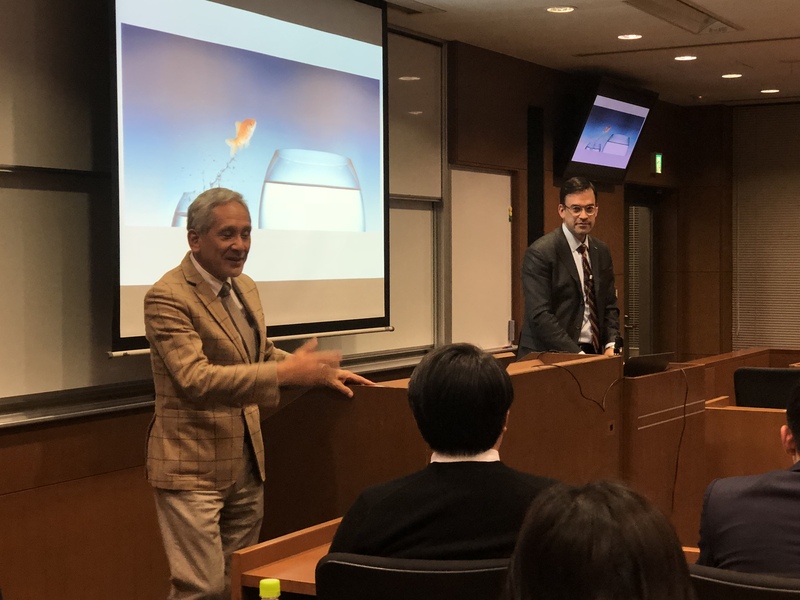 The remarks were made by the president and chief executive officer of Microsoft Japan Takuya Hirano while addressing GMBA Innovators and leaders class students at Hosei University this week. “ Once you start doing your business you’ll start becoming comfortable. Once you become comfortable someone is going to come and crack your comfort zone, I guarantee you that. 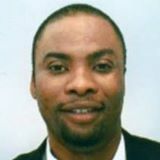 When you become too comfortable someone is certainly going to come and smash your comfort zone,” Hirano added. In 1908, psychologists John Dodson and Robert Yerkes universalized a theory that a condition of proportionate comfort conceived a fixed level of performance. However, in order to augment performance, a person needs circumstances of comparative apprehension, an environment where stress levels are marginally higher than normal. “ The choice is either you have an option of someone smashing your comfort zone or you’ll break it before someone comes and smashes it. It is better to be on your terms,” Hirano added. He also said there are enormous benefits when a person steps out of their comfort zone such as psychological advantages they get after expanding their horizons. Hirano also told students that they will lose the impetus and zeal to do more and explore new things if they choose to settle in their comfort zone. “ In Japan as you know we’re going through the negative population growth and ageing society, in 20 or 30 years the working population will decline by 25 percent. “ Now talking about ideas, think from that angle. We have massive business opportunities when such dynamics happens in the society. That’s a compelling event for businesses to do something,” Hirano said. Not only did Hirano cracked his own comfort zone by taking a managerial role at Microsoft without a technical background in his resume, he also introduced `growth mindset` changes at Microsoft Japan. He introduced the `no working hours` concept at Microsoft whereby workers at MS can report for work at any time they want in a bid to boost productivity. Hirano also said sometimes people get entangled in a mindset that can limit their thinking. work to office only when I can be more productive working from home,” he added. people from discussing important things due to the comfort associated with seating. multinational technology company based in the United States of America. is one of the 2017 Top 5 companies in the world by market capitalization. Microsoft Officesuite, the Internet Explorer and Edge web browsers among other products. 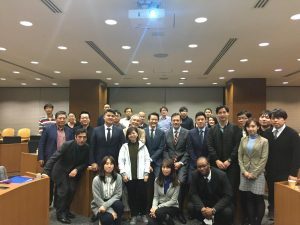 students with a unique platform to share ideas with top Japanese company executives.